Dentium USA premiers the newest addition to its rainbow line'rainbow Gum'a reliable, easy-to-use softtissue model material that produces excellent surface reproduction. 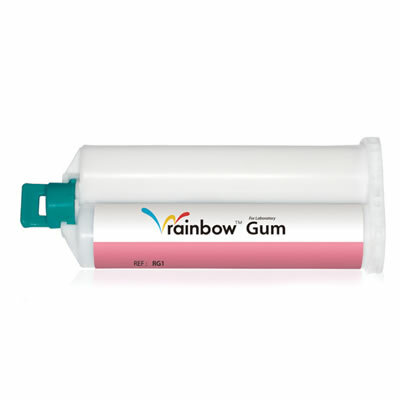 Composed of polyvinylsiloxanes, rainbow Gum is easily scannable by CAD/CAM laser scanners, without requiring the use of a scan spray, and is ideal for producing flexible gingival masks for master models used in the dental laboratory. Moreover, rainbow Gum's smooth-flowing application during model fabrication ensures an extremely detailed and void-free tissue model. Working time for rainbow Gum impression material is approximately 1½ minutes, with complete cure time achieved in 6½ minutes. Its low tear strength makes removal predictable and easy.